Boat is located in Elk River,MN.Please contact the owner @ 612-202-7467...Selling my 2008 SeaRay 240SD w/trailer. 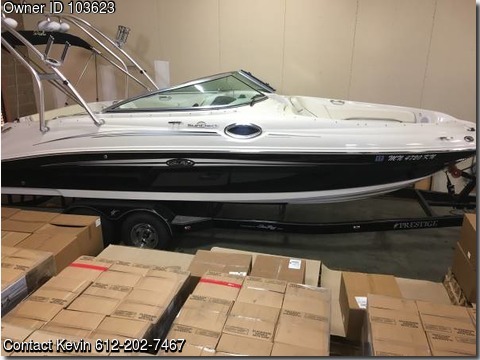 Includes a never used bathroom (pump-out head), sport tower w/Bimini top and 4 added speakers, extended swim platform, stereo, and snap in carpet. This boat is in excellent shape and has only been used 82 hours. Seats 12 people or 2000 lbs.